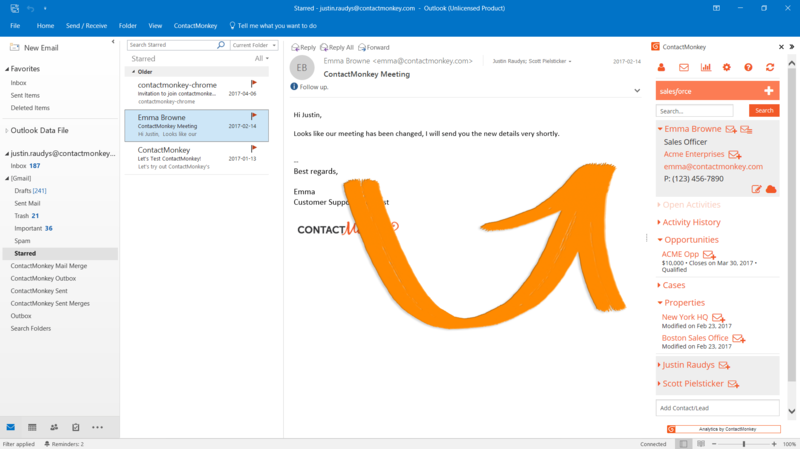 Personalize, send and track responsive HTML emails from your Outlook Office 365. 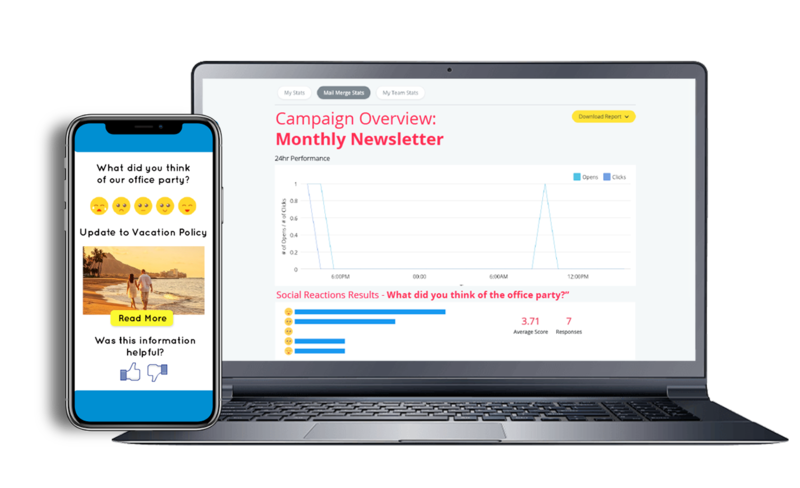 Composing and sending mass emails to your prospects, leads and employees has never been easier! 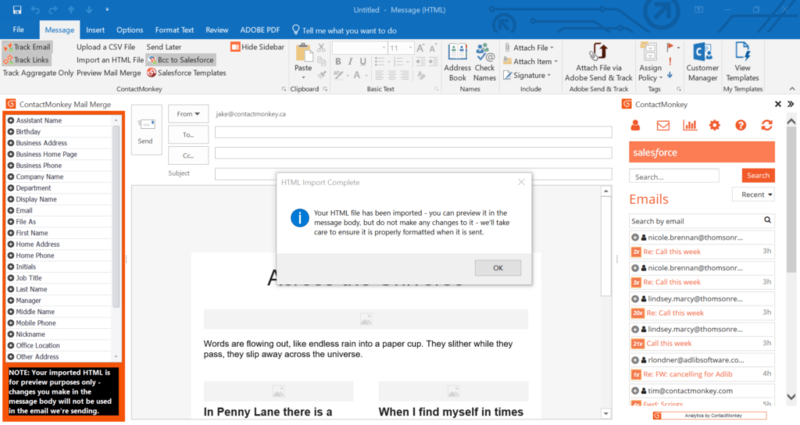 The perfect tool for powering up Outlook Office 365 – It’s time to say goodbye to Word Mail Merge! Simply import your existing text and responsive HTML email templates, add personalization, choose your Outlook distribution list or import your CSV. Wave goodbye to third-party mass email senders! 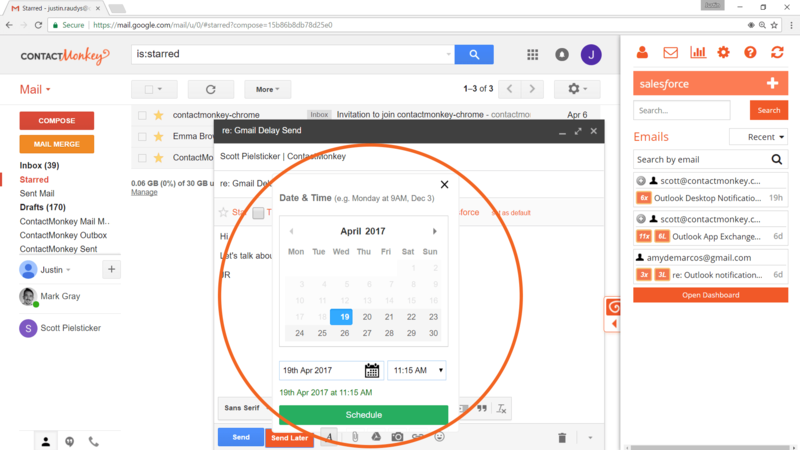 In minutes, ContactMonkey seamlessly integrates into your Outlook inbox so you can stay where you work. 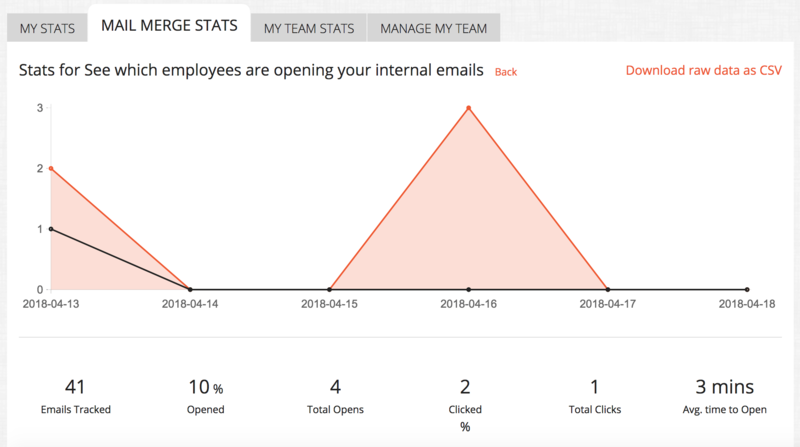 Use dashboard insights and analytics to enhance email subject lines, messaging, links and sending times for optimal employee engagement and sales success. Drag and drop outlook email template builder for creating responsive HTML email templates and newsletters. Choose from dozens of basic and advanced email templates. Send all your mail merges in the cloud. 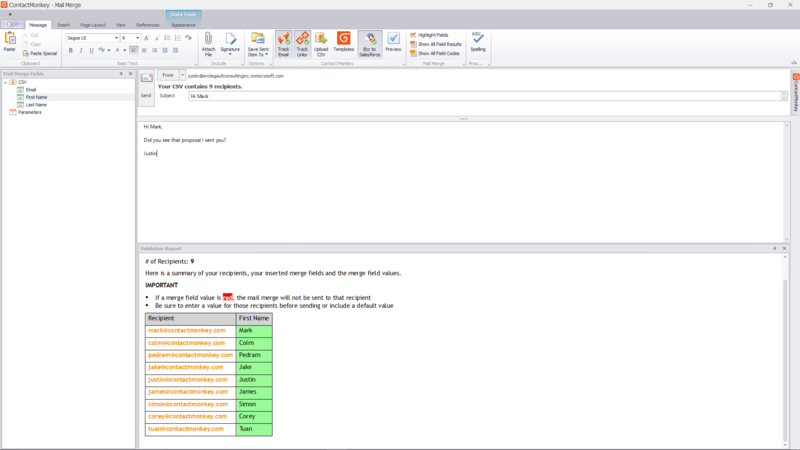 Our Mail Merge feature built for Office 365 sends in the background so you never have to worry again about Outlook interrupting your workflow. 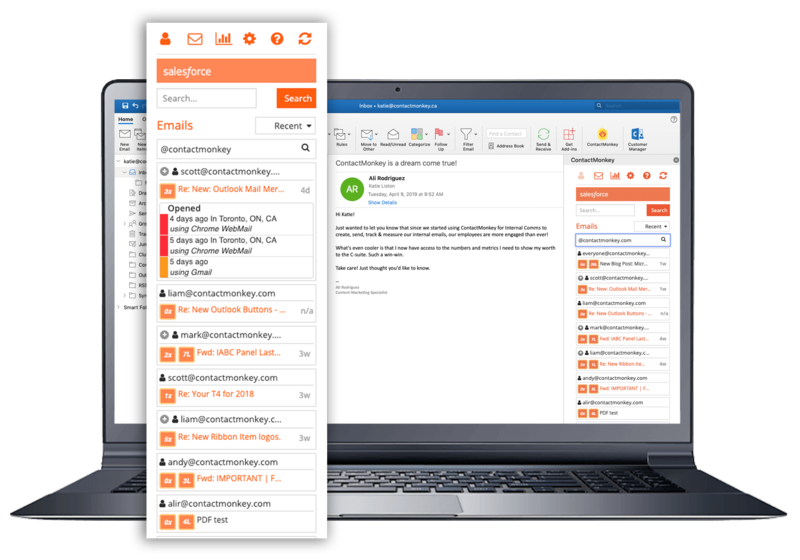 Send bulk emails to 2, 200 or 1000’s of employees using your Outlook distribution lists or upload a CSV, while keeping the personalized feel of a one to one message! You can also preview before sending your mass emails with our built-in preview window. Track every email open and link click. Discover who is opening your emails with real-time desktop notifications. Deep dive into you or your best-performing subject lines, email link clicks and much more! 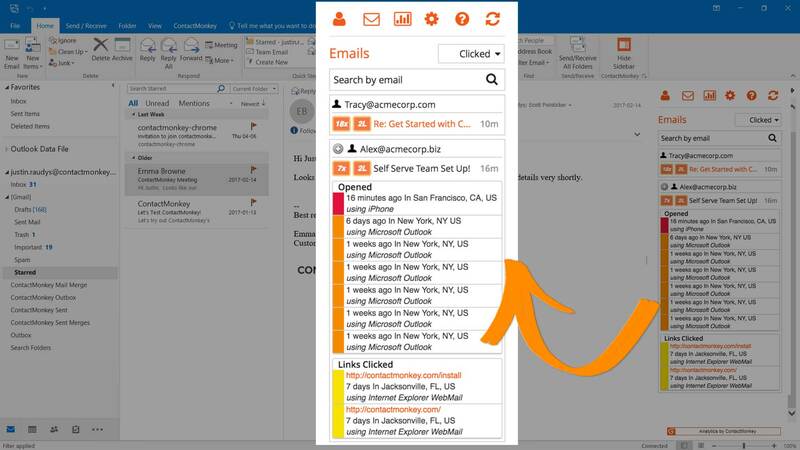 We make it easier for you to scale best practices, perfect for tracking internal communications emails from Outlook! The only tool that you can track individual and aggregate mail merge metrics. Perfect for identifying hot leads and your most engaged employees! 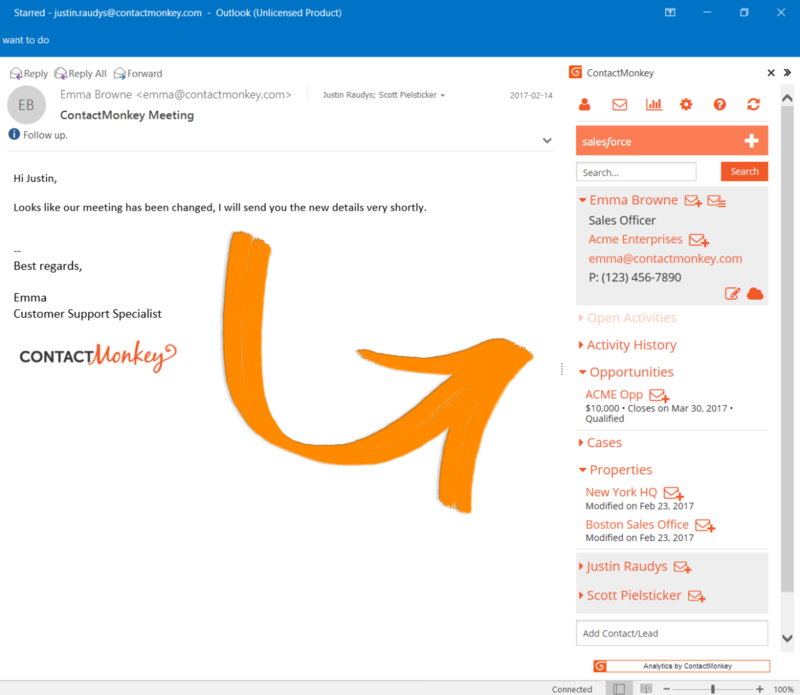 With ContactMonkey’s mail merge, Outlook comes alive. Watch this brief demo to see how it works. Get Started with Mail Merge Today!